If you already own a lean-to or are thinking of having one built, Roofing Megastore would love to help you to either maintain or install a complete new roofing system. We have all of the products that you will ever need and our knowledgeable staff are always on hand to lend some expert and friendly advice. The term lean-to means a three sided structure that is attached to a wall in our house. Also known as a sun lounge, a conservatory and also a garden room, these structures are very popular throughout the UK for a variety of reasons. They are extremely cost effective and are fairly straightforward to assemble. Whilst the width is restricted to the size of the structure that you base the lean-to on, most UK homeowners are delighted with the results and find that these maximise the existing floor space in a very ergonomic way indeed. As we have mentioned in our conservatory section on the Roofing Megastore website, sometimes the original low pitch glass or plastic roofing medium isn’t all that you’d originally expect. This is because the UK winters can be particularly harsh and that blazing sun in the warmer months can produce some seriously hot internal temperatures. Here at Roofing Megastore we understand that sometimes a small change is all that is required and this is why we suggest replacing your existing clear roof with something a little more hardwearing and practical. 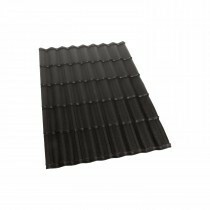 •	Lightweight Metal Roof Tiles – These are perfect for your existing lean-to structure because they are both lightweight and extremely durable and are offered at a 10 degree low pitch. If you had concerns about your security because of the glass or plastic clear roofing medium on your lean-to, please think hard about upgrading to this product. We stock all of the leading brands including Britmet, Metrotile and Decra, each of these are ideal for a new or existing lean-to product. 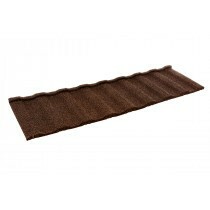 They’ll also offer way more insulation in the colder seasons and deflect that sun on the hottest days. •	Lightweight Metal Tile Effect Sheets – For the larger lean-to structures out there, our Britmet Pantile 200 system is perfect in every way. Adding some serious security to the occasion as well as serious insulation and shade from the sun in the warmer months. 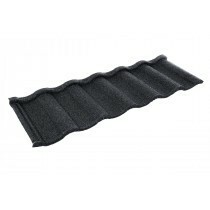 Simplicity itself to install and very low maintenance compared to the traditional conservative roofing options. These are offered in an even lower pitch version of 5 degrees for discerning homeowners. 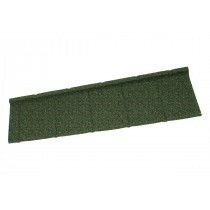 •	Roof Windows - We also stock roof windows and these can be made to measure. Have the best of both worlds and pop this open on those lovely summer days and lose none of the added security that a lightweight metal roofing option brings to the occasion.